Some animals are indestructible. Lizards can drop and grow a new tail. Starfish will grow back a spare arm. Salamanders can fill out a chopped-off limb, tail, and eye tissue. Zebrafish can patch a badly damaged heart. The aptly-named hydra, a relative of jellyfish, can be blenderized into a slurry of single cells, and the juice will coagulate, spectacularly, into a whole animal. Why some animals are so good at growing back body parts, while most others are disappointingly bad at that trick has been a compelling question for thinkers since Voltaire famously cut off a snail's head, observed it grow back, and promised a blind friend that humans may one day appropriate the power to self-heal. Three hundred years later, these strange organisms inspire hundreds of new questions and a mere handful of answers. 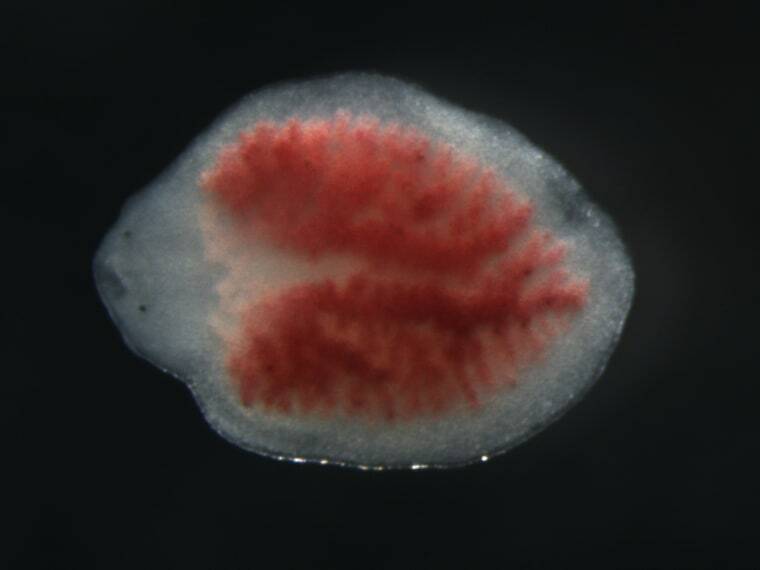 Now, three independent groups of researchers working on headless flatworms have isolated a key part of the programming that controls the animals' ability to become whole. By obstructing one gene — one player in a networked molecular pathway — the three groups were able to get otherwise doomed tail sections to regrow into whole, hungry worms. The three papers are published in the July 23 issue of Nature. "Setting out ... we would never have imaged we could do this by blocking the function of a single gene," Phil Newmark, professor cell and developmental biology at the University of Illinois at Urbana-Champaign, author of one of the studies, told NBC News. The new work shows that this gene, which codes for a protein beta-catenin, is one in a series of molecular dominoes in the "Wnt" molecular pathway that's crucial for worms to tell heads from tails. Though, it's not all sewn up, Newmark said: "Figuring out the nitty gritty details of how it's working still remain for future work." A flatworm grew two heads after it was treated with praziquantel, a drug given to people with flatworm infections.Jonathan Marchant / PLOS Neglected Tropical Diseases, 2009. Disturbing the Wnt — pronounced WINT — pathway has bizarre consequences, older experiments have shown. When it was deactivated in whole, healthy flatworms, their tails spontaneously grew into a second head. The worms didn't die. (Did you expect them to?) Instead, there's a "push-me-pull-you effect" that kicks in, and "they pull apart from each other and make two worms," Newmark said. Which brings us to the next tantalizing clue in the regeneration puzzle: head-growing planarians tap into the same molecular pathway that's been preserved in earthworms, fish, birds, reptiles and mammals, even humans. Wnt directs the development of embryos to foetuses, instructs stem cells to specialize, and seems to play a role in the progression of cancers. So if planarians can bounce back from a decapitation, why can't we? For one thing, humans are far too complex to function without a head, Newmark points out — planarians have evolved ways to feed and stay alive while a spare head is on the way, but our extensively specialized organs and body parts won't let us last a few seconds, let alone a few days. Planarians also have stem cells called neoblasts coursing through their bodies. The cells rush to a wound site when a part is chopped off and begin rebuilding and differentiating into the necessary tissue. Humans have stem cells in action: They replacing cells on our skin or in our digestive system, but they're pre-cut for a special function. Whether humans lost the ability to regenerate, and instead traded it in for some other advantage remains a debated question. If all animals since the ancient planarians were born with the ability to regrow chopped limbs, but most traded it in for a different skill, Newmark said, the question that remains is: "Why would you lose such a valuable trait?" Jeremy Brockes, who studies regrowth in salamanders, believes that these "champions of regeneration" independently evolved the ability to grow back body parts. It's because aspects of their technique, he's found, "are salamander specific," he told NBC News, adding that this question is "a major point of debate." Ultimately, the big possibility that interests researchers who study animals with these residual regenerative superpowers is: Can humans reactivate ours?